Although founding a company is always a challenge, there has never been a better time than now for starting a business. The acquisition announced last month of WhatsApp by Facebook for $19 billion illustrates this opportunity. It is not the size of the deal; there have been huge deals that have made founders incredibly wealthy for decades. What is exciting is how WhatsApp achieved this huge exit. What is amazing now is that you can build a $19 billion business quickly without a huge investment because of cloud computing. When you look at Microsoft and Google (and even Facebook), it took them thousands of engineers to build their businesses. WhatsApp has just 32 software engineers, which means that each one supported about 14 million users. Earlier this year, I wrote how using analytics to gain deep customer insight could inhibit innovation, based on Clayton Christensen’s Innovator’s Dilemma. I wanted to dive deeper into the Innovator’s Dilemma, as it is important to all tech companies, from those trying to grow to those trying to disrupt established industries. I will also tie everything together by showing how the free-to-play model disrupted the electronic game industry, destroying companies like Acclaim and Midway and creating billion-dollar companies like King.com and Kabam. 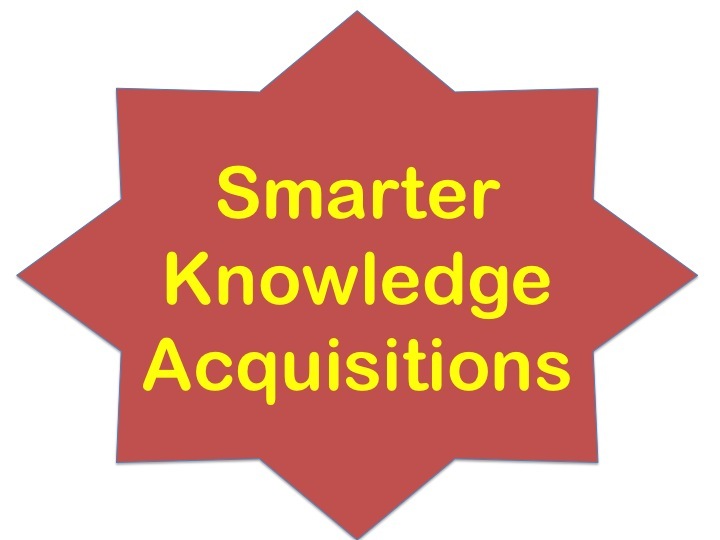 There was a great article, “Acquisitions That Make Your Company Smarter” by Nima Amiryany and Jeanne W Ross, in the MIT Sloan Management Review that showed why many companies fail to integrate successfully the knowledge and processes from companies they acquire, even if the acquisition was to acquire the knowledge. It is a phenomenon that I have seen repeatedly, where large game companies will acquire smaller companies to give them international expertise, experience leveraging IP, knowledge of a new platform, etc., yet fail to integrate that information and best practices into the parent organizations. It ends up lessening the value of the acquisition and often disheartening the experts who were acquired and see areas they can improve the parent’s business. Acquisitions focused on incorporating knowledge are fundamentally different than other acquisitions. The expertise of the acquired company represents a crucial part of its collective knowledge that gives it a competitive advantage. The acquiring company is interested in something that a group of people have created that involves their vision, ways of working together and approach to carrying out certain activities. The acquiring company is primarily interested in the skills and processes, not the products, of the target company. One of the best examples of such an acquisition was Disney’s acquisition of Pixar in 2006. By purchasing Pixar, Disney brought in knowledge of cutting-edge animation that it did not have. Thus, the success in the deal should not be measured just by the profit from Pixar’s pictures but also from the incremental profit Disney captured with all of its animated films. Another example is Pfizer’s purchase of Icagen (now Neusentis) in 2011. This deal gave Pfizer expertise in pain research that it previously did not have. At this time of year, most of you are expecting me to write a post tying business with sports, but I want to surprise you with a parallel between business and the military. Many of the issues the military faces and the value it derives from reconnaissance (recon) is very similar to those game and other tech companies derive from data. In the military, recon is used to gather intelligence on the enemy. In business, analytics is used to gather intelligence on your customers. By exploring these similarities, you can better use analytics to achieve victory. One of the first question military planners face is how far to send its units. The deeper you send your assets, the more information you will gain. As they go deeper, however, the cost increasing as they are more likely to get killed or captured. You face the same decision, how many assets should you devote to getting intelligence on your customer. To succeed in business, you first need to determine what information you need from analytics to drive your business (the military equivalent of winning a battle). Then, you need to devote sufficient resources to generate this analysis. Military commanders have multiple ways to reconnoiter the enemy. They can use troops, special forces (e.g., Rangers, SAS), ships, aircraft, drones, etc. These assets are not mutually exclusive and a leader will combine them to generate the information they need. Over the last few weeks, I have been writing about and its applications. I just read a post on Nate Silver’s new blog, FiveThirtyEight. I recommend you read the post not only because it is interesting but to understand the breadth of applications of Bayes Rule. I came across a great blog post by Brian Balfour, “What Blackjack Strategy Teaches us About Growth,” target=”_blank” that does a great job of illustrating the power of focusing your growth efforts rather than chasing diversification. Balfour, a co-founder of Viximo and former Entrepreneur in Residence at Trinity Ventures, draws parallels between the crux of good strategy in Blackjack, doubling down (double down on an 11, and sometimes on a 9 or 10 depending on what the dealer shows), and how it should be applied to your growth strategy. In blackjack, you follow this rule rather than saving your resources for another hand and diversifying your risk. He explains the logic behind this strategy: With a 9, 10 or 11 you have data for that hand that it is “working.” Thus, you have a higher probability of optimizing your winnings by focusing more of your money on a hand that is working than diversifying on other hands that you do not have data on yet. Balfour points out that many companies work hard to get a growth strategy or tactic to work. Once they get one working, the first instinct is to then find another channel to add to the mix. He argues to fight this instinct and learn from Blackjack: Double down before you diversify. First, it is important to understand the driver for growth. Growth is a function of (probability of success, impact and resources required). This formula means growth occurs by balancing the probability of success for an AB test, the impact it has if successful and the resources required to implement. 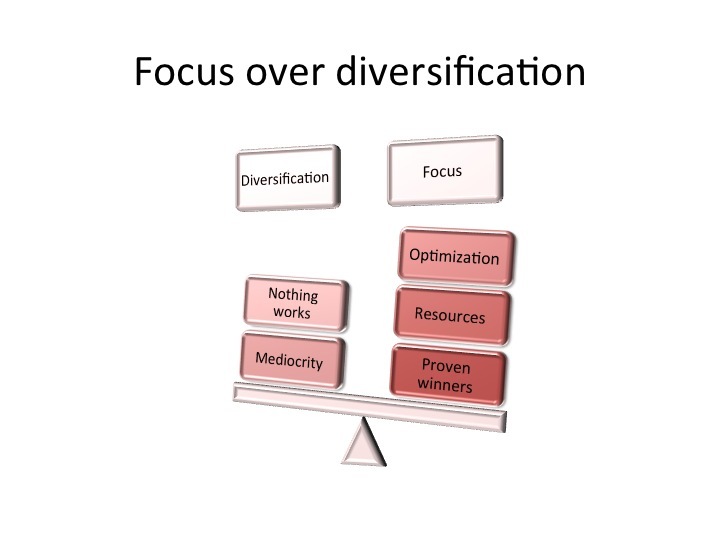 You then focus on opportunities that have high probability of success, high impact and low resources required. Disney Interactive’s news last week that it was reducing its team by about 700 employees, many of whom were originally Playdom employees, drives home the message of how important it to is to technology professionals to stay current and active. 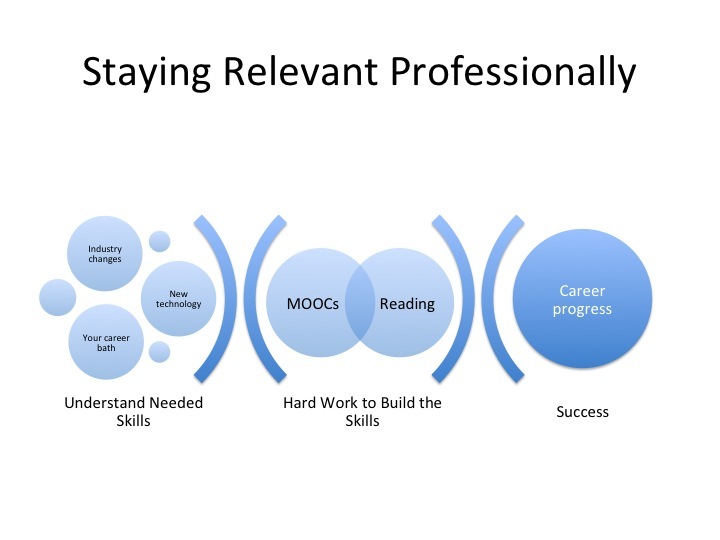 With the pace of change in technology and gaming, people who were very-sought-after out of college five years ago may find their skill sets are considered dated and that they have few comparable career opportunities. This situation highlights why it is crucial for anyone in the tech or gaming space to focus continually on upgrading their skill sets so they can compete with the next batch of graduates. There are many very intelligent people in our space and you are deluding yourself if you think you will always have great opportunities because you are brilliant. Employers and start-ups looking to build their core management team have many options and once they discard the mediocre, they usually still have many options. Thus, it comes down to how closely your skill set fits with their needs. The problem many run into is that a great skill when you started your career—or even a few years ago—may not match what the best companies are looking for. In 2005, you may have earned an MBA in Marketing from Harvard Business School or Northwestern’s Kellogg School and became a marketing super star in the game industry. In 2014, however, few exciting companies are hiring marketing rock stars but they are grabbing growth experts. Although you may feel it is a matter of semantics, the differences between growth and marketing (e.g., focus on performance and analytics, integration with design) are crucial to the companies that are hiring. Thus, you will find your great marketing resume is less valuable to the next WhatsApp than a Stanford dropout who knows native advertising. As part of a MOOC I just finished (Northwestern’s Content Strategy course, in which there was an interview with IBM’s SVP of the Watson Group, Mike Rhodin) that did a great job of showcasing the potential and future of machine learning. The Watson Group is probably most famous for developing the computer that won on Jeopardy! and it is now deploying that technology to push the boundaries of machine learning. During the interview, Rhodin explained how Watson can read and understand text. As it can understand text, Watson can learn by reading or obtaining additional information that either will confirm or question a hypothesis. In the latter case, it can then seek out additional information to reach the most likely answer, including looking at historical research and results. It will then give a recommendation and confidence level based on all available information, with the supporting evidence and why the evidence is important. 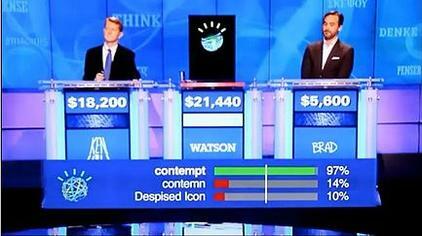 Watson will then analyze whether its recommendations were correct, learn from its mistakes, and effectively get smarter (e.g., why when it played Jeopardy! it got stronger as it completed a column). Rhodin discussed how Watson is currently helping doctors make more accurate diagnoses. The doctor will tell Watson a patient’s symptoms (Watson can understand spoken English), then Watson will compare these symptoms with what it has read and what is in its knowledge base. It will then narrow down the possible causes and present that information to the doctor. Keep in mind that there is so much research being published daily (and even more historical research) that no doctor can stay on top of all of it. Once Watson has narrowed it down to a few possible causes, it will present these to the doctor with the evidence it generated. The doctor can either do their own research or it may trigger a memory of an article they read in the past. Watson has thus helped the doctor reach a diagnose faster, which often helps recovery rates and reduces treatment costs. I previously wrote about how Bayes’ Rule is the foundation of good decision making and last month posted about how it could be applied to your green light process, today I will address another application of Bayes’ Rule: Applying it to corporate development (mergers and acquisitions). As discussed in my first two posts about Bayes’ Theorem, it shows how to use past data to optimize your decision making process. There are three areas of corporate development in which Bayes’ Rule can help optimize your strategy: building a company for exit, selling to the right partner and acquiring companies that improve your value. Many founders start and build their business for eventual exit (e.g., sale or IPO) but if they fail to take into account Bayes’ Rule they are not optimizing their chances for a successful one. If your goal in launching a business (or pivoting your business) is to sell it, then you need to look at past data. The best indicator of whether you will be able to sell—and for how much—is other M&A (mergers and acquisitions) activity. You may have a great idea for a business, and it may be unique, but if it is in a space where there is no M&A activity you are not likely to sell eventually the company (however, that is not to say you should not start it, if your goal is something other than a sale). To show how Bayes’ Rule applies, let’s consider two opportunities. One is a building a game company in a space where 60 percent of the companies are selling to larger companies. You have a decent idea and good team but it is not great; looking objectively you have a 50 percent chance of success. Conversely, you have a fantastic idea for a different type of game company. You are convinced that in that space you have a 90 percent chance of success. Buyers, however, are not showing much activity there and only one percent of companies in that space have an exit. Bayes’ Rule shows that if your goal is an exit, then you should launch the company where you have a 50 percent chance of success (you will have a 30 percent chance of selling your company versus less than 1 percent for starting the company that is much more likely to succeed). My personal experience reaffirms this math. At Merscom, we were a very successful casual game publisher (downloadable games targeting women sold primarily on Big Fish and Real) . There, however, was not much M&A activity in the space. So we decided to abandon a profitable, highly successful business in 2009 to enter the social gaming space because there was an acquisition almost every week. A few months after our pivot, we were acquired by Playdom, and a few months after we were acquired, Playdom was acquired by Disney.